Progress Capital Management is one of the financial industry’s growing firms. Why Do I Need Progress Capital Management? We, here at Progress Capital Management, have a great deal of expertise in dealing with various personal financial matters. We can help to assess your current situation, set goals, and recommend specific actions to be taken. Progress Capital Management is committed to providing on-going service to ensure that you are always on track towards meeting your long-term goals. In addition to managing our client’s investments, we also take on the responsibility of preparing their tax returns. Since we have intricate knowledge of their financial affairs, we are able to implement tax strategies that will yield the maximum benefit. Progress Capital Management is here to help you through both good and bad changes in your life. We realize that the road to financial prosperity is sometimes filled with unexpected turns. It is our policy to work with you to prepare for these turns so that your plan is equipped to deal with them. Progress Capital Management recognizes that your life is simply not one-dimensional. There is more to you than just your financial wealth. The Progress logo symbolizes the different aspects of your life. Finding time to devote to each aspect of your life is a challenging task. If you were to focus all of your attention on your professional life, you may suffer on a physical or personal stand point. If your personal relations are a source of stress, your financial prosperity may be hindered. The Personal Prosperity Program™ will assist you in achieving a balance between these four components of your life. We can make a positive impact on your financial prosperity, and, in the process, leave you with more time to take care of your health, to spend with your family and to advance your career. Progress Capital Management wants to ensure that you are prosperous today and in the future. 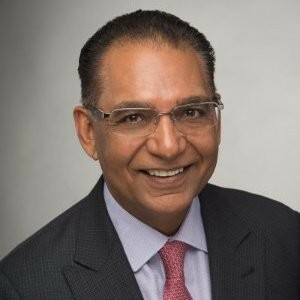 Sunil Chugh is a Certified Financial Planner CFP® who specializes in Wealth Management Services*, Estate Planning, Insurance Solutions, Education Planning, and Tax Planning and Preparation. He has been the CEO and President of Progress Capital Management since 1990. * Investment products are provided through Aligned Capital Partners Inc.